Today I was going through some old boxes when I came across these! These are Cypress Trees still in their original packaging from when I bought them from LEGO Shop at Home. Check out the going rate for these trees on BrickLink! Wow. This entry was posted in Odd and Ends, Shopping and tagged Cypress, New, Sale, Tree. Bookmark the permalink. 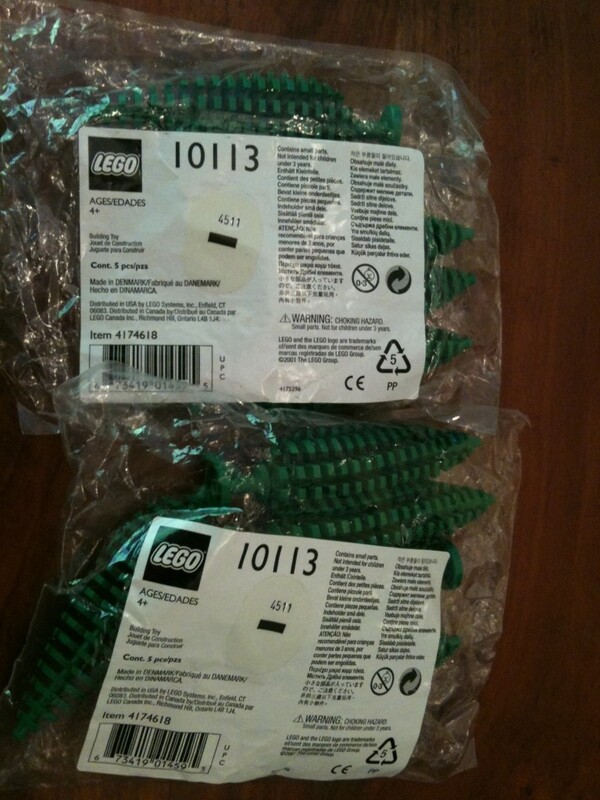 hi there, for long time i’m looking to get 1 of thoose sets, 10113. Sorry, they sold long ago and very quickly! Sorry – no longer have them. No, they sold pretty quickly to one of the local LEGO people.